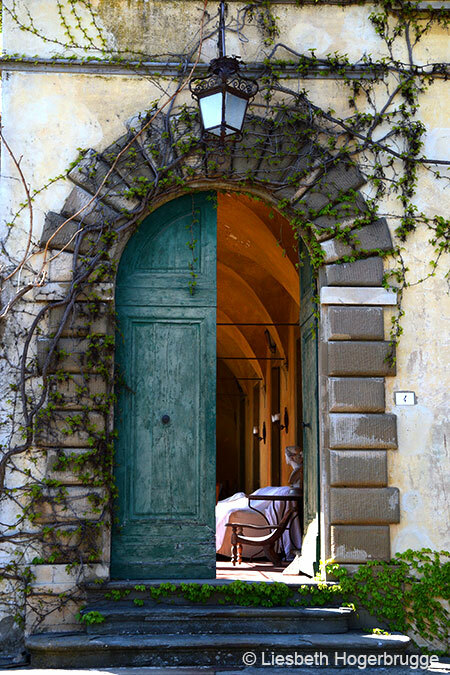 People from all over the world, including celebrities, flock to Tuscany and fall instantly in love with it. Singer/songwriter and former frontman The Police, Sting and his wife Trudy were so enthralled by this beautiful land that they bought an estate here. 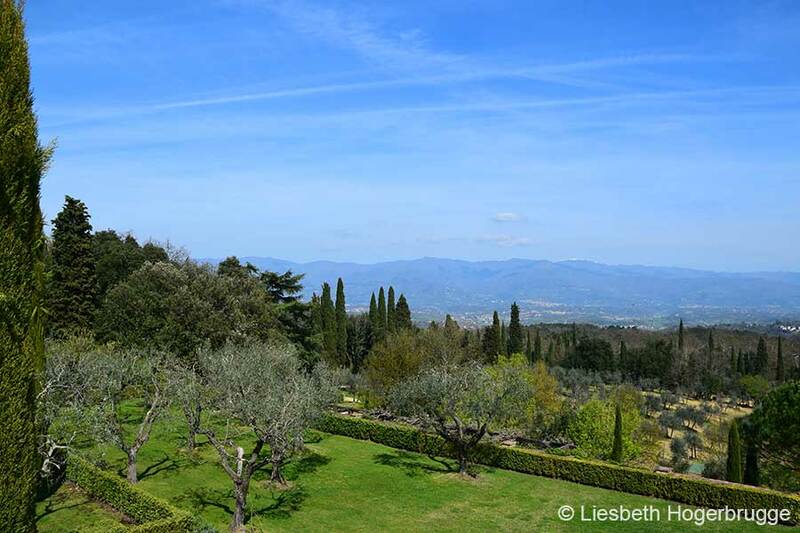 “Il Palagio” of Sting and Trudy is a 900-acre property located southeast of Florence near the town Figline Valdarno. 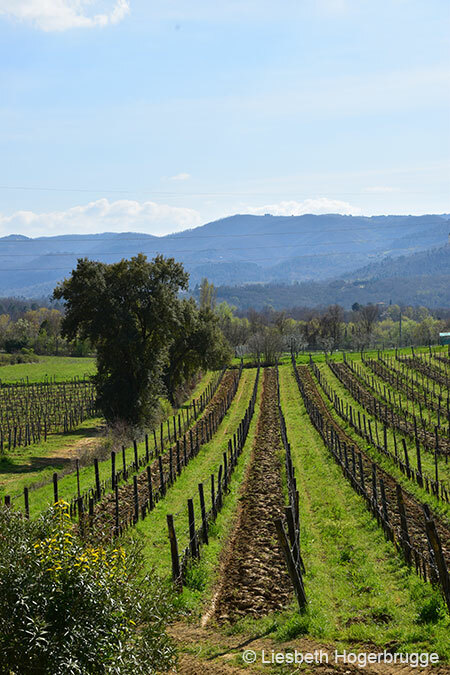 Starting out as a holiday getaway to spend the summer with family and friends, over the years it was transformed into a grand domain producing biodynamic wine, olive oil, honey, fruit, and vegetables. From its dominant position, the villa offers a splendid view over the gardens, vineyards, olive groves, vegetable gardens and a forest with five small lakes. 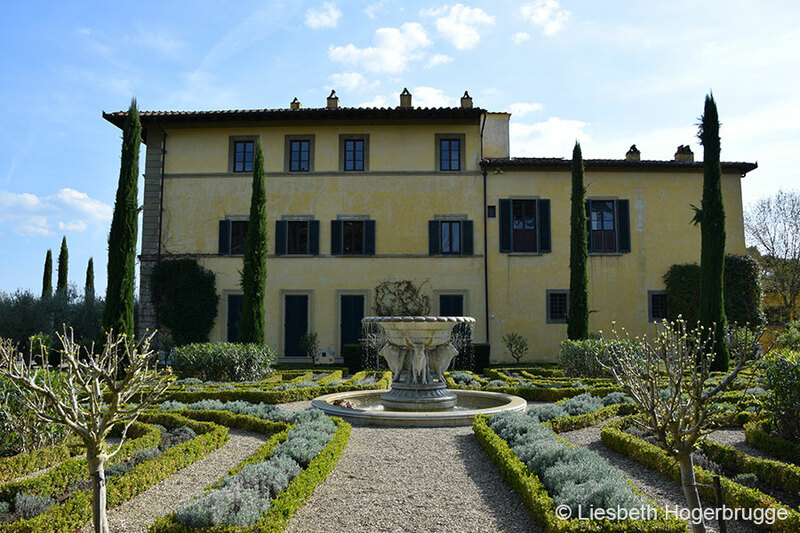 In Tuscan dialect “palagio” comes from the word palazzo, which can be translated as mansion. The villa was built in the 16th century and by the end of the 17th century, it had grown into a thriving estate under the management of the prominent Martelli family. In 1819 the domain was sold to the widow of the Duke di San Clemente, and it remained in the possession of this noble family for the next 150 years. 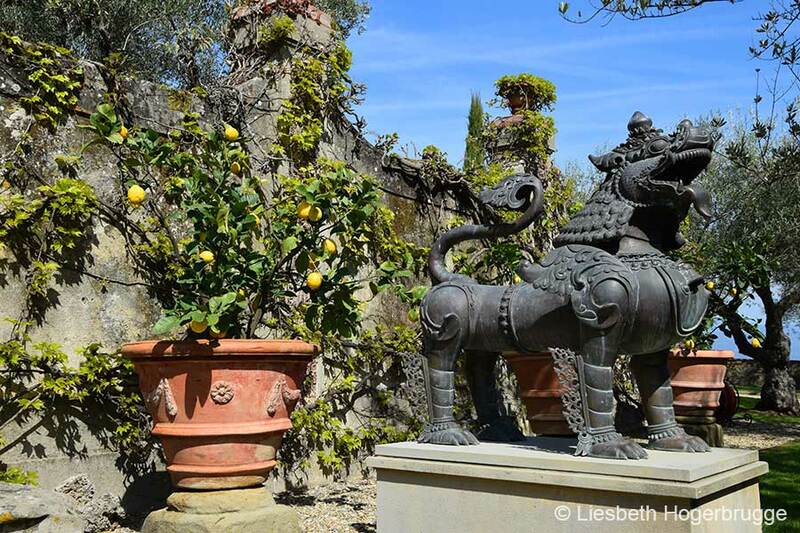 When Sting and Trudie bought Il Palagio in 1997 from Duke Simone Vincenzo Velluti Zati di San Clemente, they restored the villa, the outbuildings and the grounds to their former glory. British landscape designer Arabella Lennox-Boyd designed the classic terrace garden which took several years to realize. The overgrown terrain was transformed into beautifully landscaped gardens that grow wilder and more natural as they are further away from the villa. 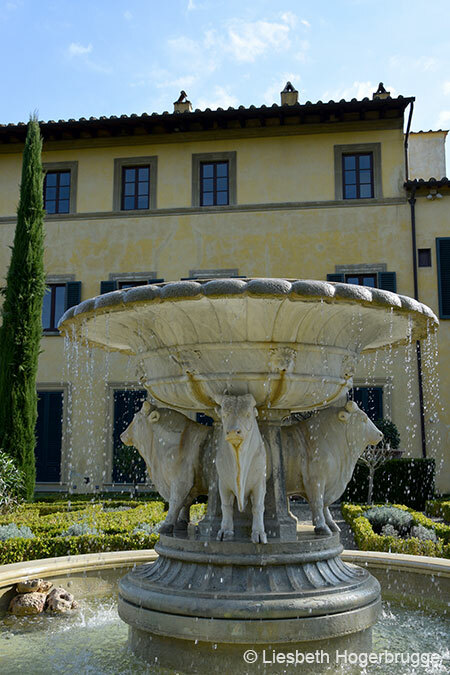 The massive fountain with four oxen in the English garden once belonged to Sophia Loren. Many years ago it was stolen from the actresses garden. Some ten years later the fountain was recovered and put it up for auction by the insurance company where Sting and Trudy bought it. 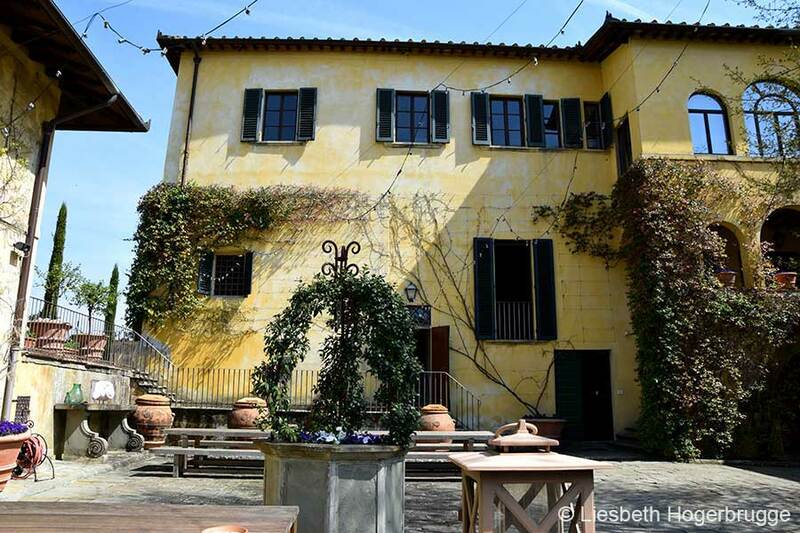 Il Palagio is a Tuscan dream come true and it’s not hard to understand that Sting loves spending time there, enjoying la dolce vita and sipping wine from his own vineyards. For those who know Sting’s music, wines with names such as Message In A Bottle, Sister Moon and When we dance will surely sound familiar. 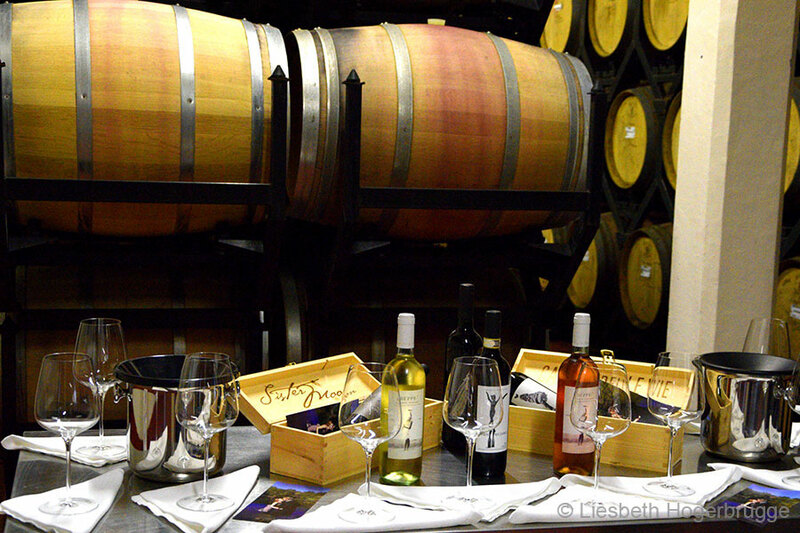 Earlier this year the robust red wine Sister Moon was named one of Italy’s finest 100 wines. 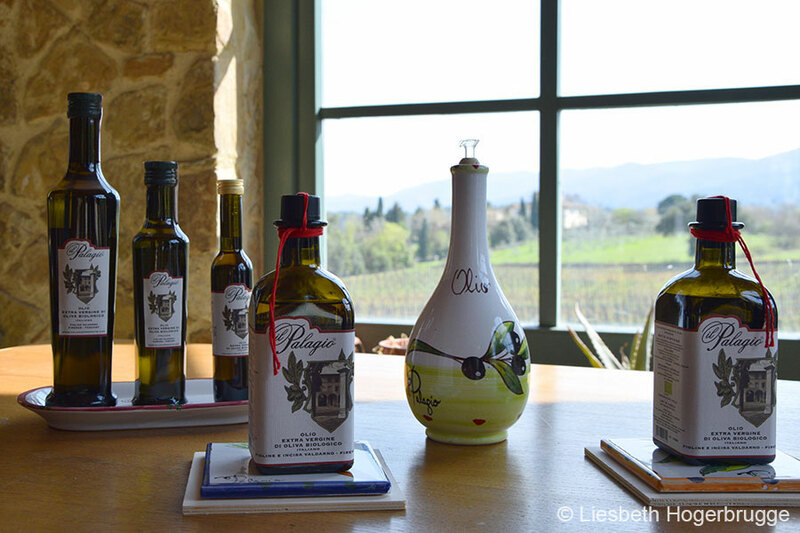 The biodynamic products of the estate, wine, olive oil, honey, and vegetables, are sold at the local shop of Il Palagio, Via Sant Andrea in Campiglia 11, 50063 Figline Valdarno. Il Palagio is not open to the public, but it is possible to rent the villa or one of the other five cottages on the estate for vacation, parties, and weddings.